The Resident Tourist: Pizza A Casa . . . Early this month of my best friends from SB came to visit for the weekend and invited me to Pizza A Casa for a day of pizza (cooking and eating). 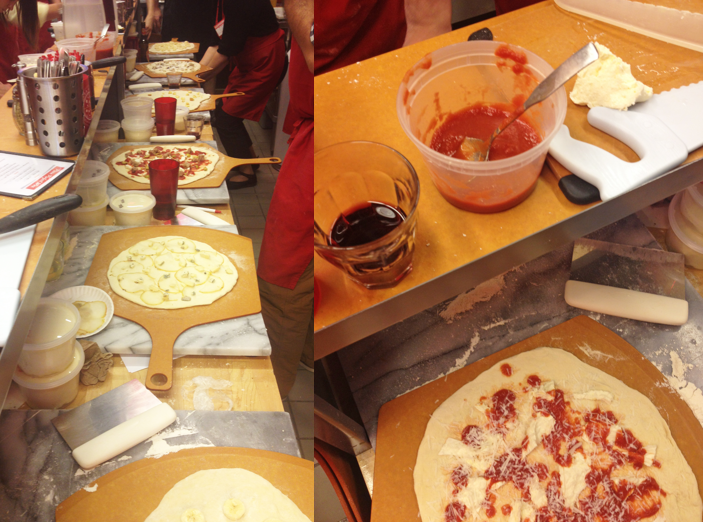 Now I've been to my share of cooking classes, but this was so much more! 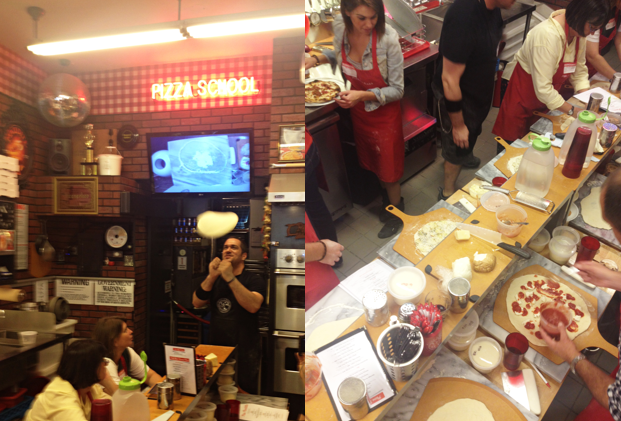 It was like attending pizza school. We were taught everything that goes into making a perfect pizza. 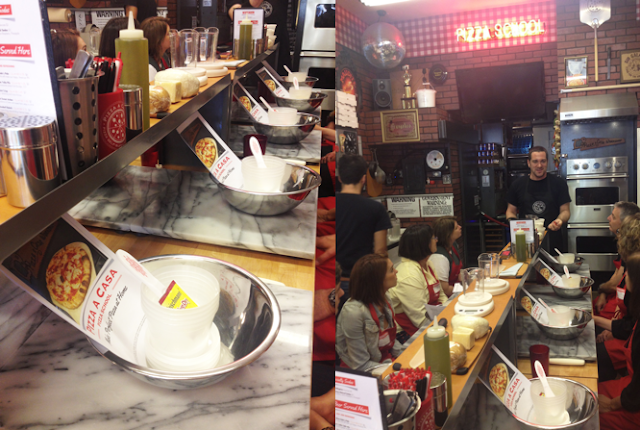 Decked out in our matching red aprons and lead by Mark, our "pizza professor," we learned all the ins and outs of pizza during the five-hour course. And with endless toppings to choose from, we concocted so many tasty combinations: smoked mozzeralla, sundried tomato & sweet sausage pizza, white pizza with feta, lemon zest & roasted peppers, even dessert pizza with banana, nutella, & toasted peanuts - just to name a few. All were beyond terrific. 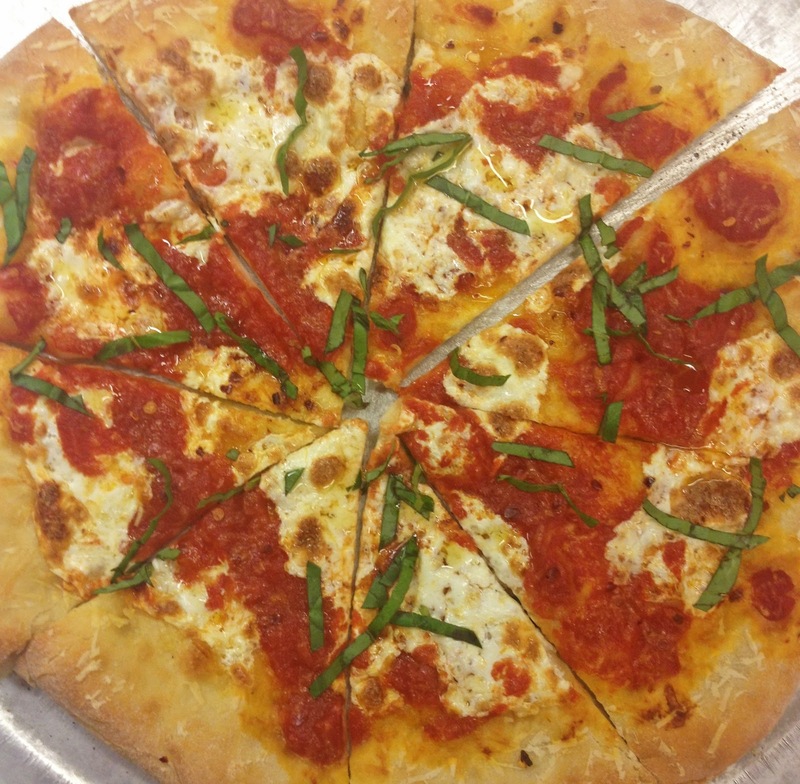 But my all time favorite - call me a purist - will always be Margherita, aka cheese. This Margherita was one of the best I've ever tasted. Don't overload the cheese and sauce. Top your pizza with basil after it's been taken out of the oven. 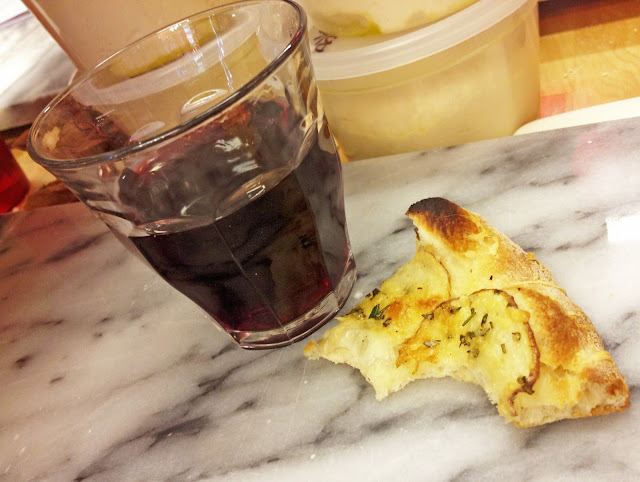 Drizzle olive oil over your pizza before serving. Try them at your next make-your-own pizza party!